In supporting the company’s mission and its own goals, the IT department maintains in-house knowledge and experience on all forms of technology deployed throughout Frontier. By not depending on third party installers and support contracts for business critical systems, we possess data center-like uptimes while keeping costs low. Using in-house technology, best-in-class hardware, web technology, cloud computing, and automation, our company can quickly adapt to both the business cycle and long term changes in the market. Stationed on the Gulf Coast, we understand the importance of natural disaster preparation. Frontier's network prevails through battery and generator support during irregular weather conditions. Our array of security features provides peace of mind to our customers on the state of their products and the status of their supply chain. 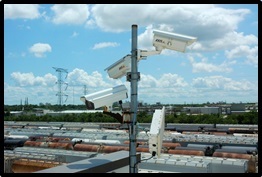 With 24/7 video surveillance and other monitoring devices, we are able to protect customer goods, keep updated records, and provide details for incident investigations. Several locations are approved foreign-trade zones and meet the security requirements of the U.S. Customs and Border Protection. Frontier has put a strong emphasis on the utilization of wireless communications. 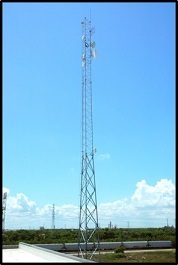 At our headquarters, we erected a 100 ft. tower used for high speed wireless communication amongst all La Porte area facilities. Connecting up to 3.5 miles away, this wireless network is backed up by a failsafe broadband VPN which allows for uninterrupted communication in the event of a failure.